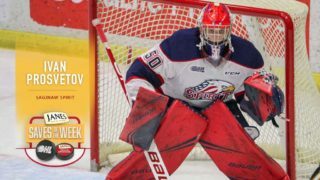 After snapping their six-game losing streak on Friday, the Guelph Storm look to keep things rolling on Saturday when they make their lone visit to Barrie to take on the Colts. 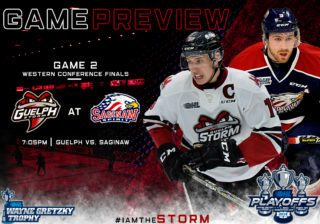 It’s a cross-conference match-up in Barrie for game two of the Storm’s first three-in-three of the season. Opening the weekend with a big 5-2 victory over the Battalion, the Storm (4-6-0-1, 5th Midwest) will look to keep moving in the right direction when the face-off with the Colts. 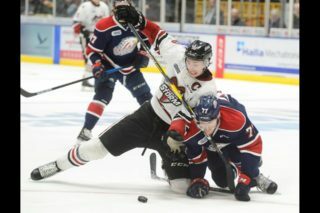 It won’t be an easy task as the Colts (5-5-1-0, 2nd Central) are riding a two-game win streak defeating Flint in regulation and Mississauga in a shootout. 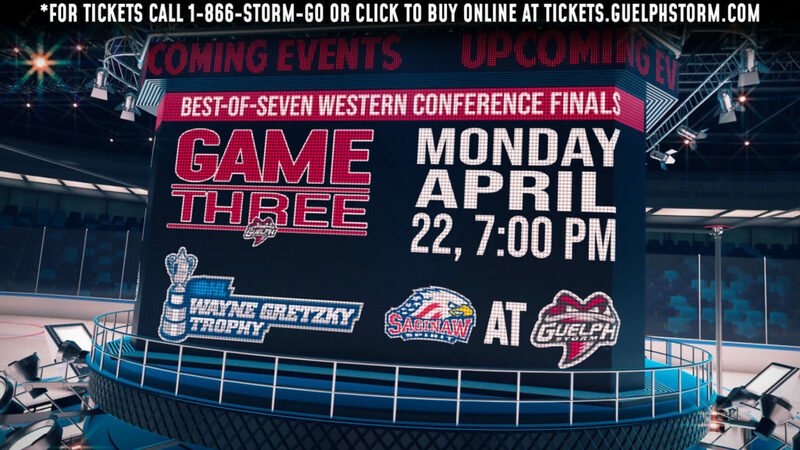 Barrie will look continue to roll and create space in a tight Eastern Conference. The two teams split their two matches last season, both games were won by the home team. Puck drop is slated for 7:30pm. Defenceman Austin Hall is coming off of a terrific outing against the Battalion recording two assists on the night. His efforts earned him third-star honours. The veteran defender has amassed six points (one goal and five assists) in 11 games, which puts him just six back of his career highs set last season. One of the best forwards on Friday night for the Storm was Nic Sicoly. Recording two assists on the night, the Sault Ste. Marie native was relentless at both ends of the rink, a central piece of crucial penalty kills, as well as creating chances off of his forecheck. Sicoly will look to build on his momentum on Saturday night. It will be a special night for rookie Barret Kirwin, born and raised in Barrie, Ontario, Kirwin will make his hometown debut on Saturday night. A day removed on scoring his first career OHL point, Kirwin will look to add to his total in Barrie. The Colts offense is led by overage forward Anthony Stefano. The Sault Ste. Marie native has scored a point in three of his last games, including a two-goal performance versus Flint. In 11 games, Stefano has amassed five goals and eight assists for 13 points and is currently on pace to surpass his career highs. Barrie’s captain, Cordell James, has been one of the team’s top contributors early on in the season. The Hamilton native leads the team in goals and already has three multi-point games this season. Through 11 games, James has recorded six goals and four assists for 10 points. 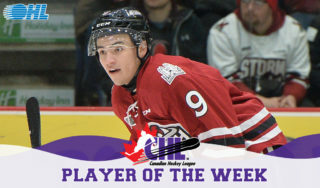 Rounding out the Colts top scoring trio is, Lucas Chiodo. In just 11 games into his second full OHL season, the Churchill native sits one-point back of his season total from last year. 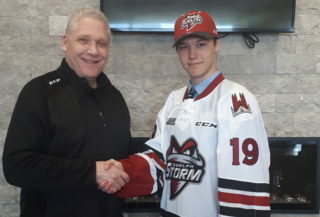 The 15th round selection in the 2014 OHL Priority Selection has tallied three goals and six assists for nine points. The Storm and the Colts will play their first of two match-ups this season on Saturday. Barret Kirwin (Barrie, ON) makes his hometown debut Saturday.